The buff bluff: ACT Health Protection Service warns Canberrans might be ingesting dangerous substances found in certain supplements. Canberrans using sports supplements for bodybuilding and weight loss are being warned of the health risks associated with the products after it was found certain supplements contained banned and dangerous substances. 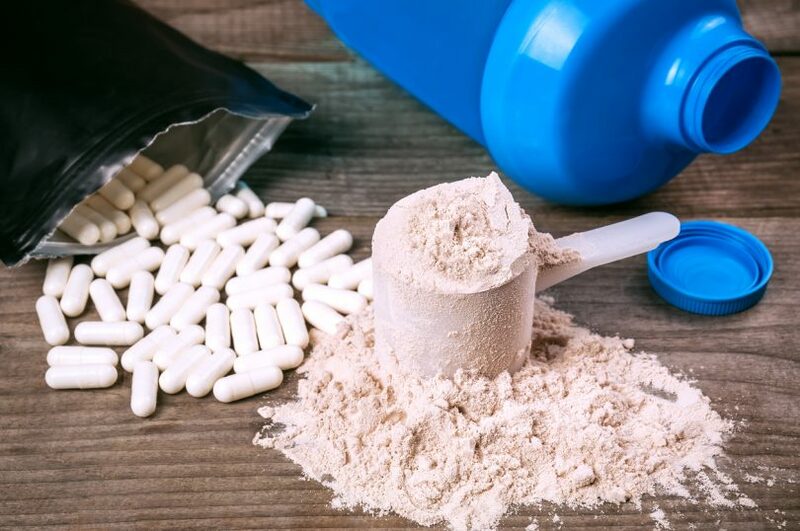 Following a complaint from a member of the public, ACT Health is currently investigating sports supplements products in the ACT after the Health Protection Service (HPS) found sports supplements containing banned substances were being sold in Canberra. Sport supplement products that have been found as part of the investigation are labelled to contain substances such as selective androgen receptor modulators (SARMs), cardarine, tadalafil, oxedrine, melatonin and phenibut. ACT Chief Health Officer Dr Paul Kelly said the substances that claim to be fat burning or muscle building effect are either prescription only medication or are “banned poisons”. Dr Kelly said even small doses of the chemicals they have seized can be harmful to long-term health, and some of the compounds have shown to cause cancer in animals, as well as heart and blood pressure issues. He said it is not only illegal for supplement stores to supply these substances, but it is also illegal for people to possess some of these substances without a prescription. “The sport supplements we are investigating contain a variety of substances, some of which can have a significant impact on someone’s health when taken without advice from a health professional,” Dr Kelly said. Dr Kelly said ACT Health’s message to Canberrans is to beware of the products. ACT Health’s investigation is ongoing, with further testing on a number of products currently underway. If anyone has information to support this investigation, please contact the Pharmaceutical Services Section of the Health Protection Service on (02) 6205 0998 or hps@health.act.gov.au. The Chief Health Officer perhaps should check the Net before issuing press releases like this. Tadalafil is not a “sports supplement” but an erectile dysfunction drug – the trade name is Cialis and it is touted as being more effective than Viagra. It is available on prescription but is not on the PBS. Four tablets will set you back $99.00. As for SARMs, don’t bother. They are expensive and do not work. Futhermore they taste awful. A total waste of money. This warning mainly applies to thermogenics – supps which raise the body temperature to quicken metabolism and make you sweat more during workouts and lose weight. Popular ones are Oxyshred, Xtend Ripped, Hydroxycut, Acetyl and 2Shredded. Again they do not work but there are always people willing to fall for the glossy snake-oil ads, and bodybuilders are always looking for the Holy Grail – a supplement which will have the same muscle building qualities as steroids but without the side effects. Sadly there is no such thing in existence at the moment. Lol at Phenibut being dangerous. Bryce Mch well when you take 20 - 40 times the normal dose, what do you think will happen? Take that amount of prescribed benzos and see where you end up. People have been using it for years for anxiety, yet the TGA made it a schedule 9, with the excuse of not being able to translate the Russian studies as the reason, forcing people on to benzos. Meanwhile, alcohol sees more deaths and hospitalisations every day.